The entire 60-piece collection of Northcott’s Artisan Spirit Sandscapes arrived this week. The picture below doesn’t show the neutrals, which we also received. This exquisite collection of marbleized textures has metallic glimmers passing through the print. The greys are silver, and the rest are gold. Absolutely scrumptious! Northcott is donating a portion of the sales from this collection to Prokritee, a certified fair trade company based in Dhaka, Bangladesh, employing the artisan women who inspired this collection. Click here to watch a video of Prokritee. Click here to watch a video of how the ladies make the hand-made paper that Sandscapes fabrics mimic. Unfortunately, it doesn’t show marbling of the paper. Click here to see Northcott’s catalogue of the fabrics and patterns. If you wish to find these fabrics in our webstore, click here. This is a link to all of the Northcott fabrics we carry. It is alphabetical; please scroll until you find it listed as Artisan Sandscapes. 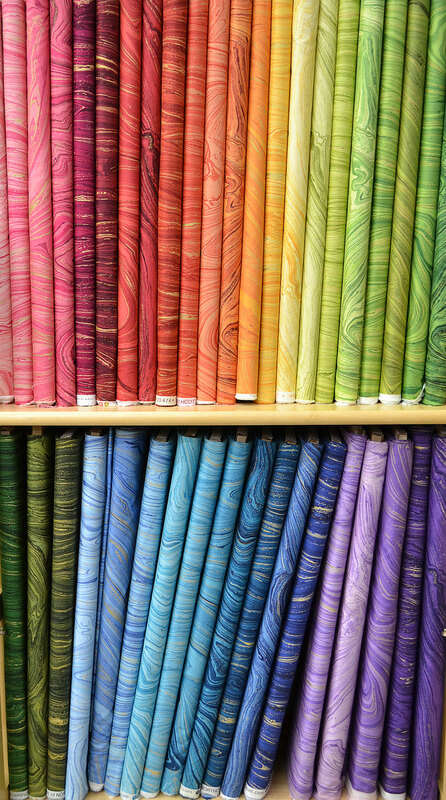 For fabric lovers, we have cut fat eighth bundles of the entire collection of sixty fabrics. They are a total of 7.5 meters of fabric for $116.99. Click the picture below to see them on our website. If anyone would prefer fat quarters of the collection, or of certain fabrics, please contact us. 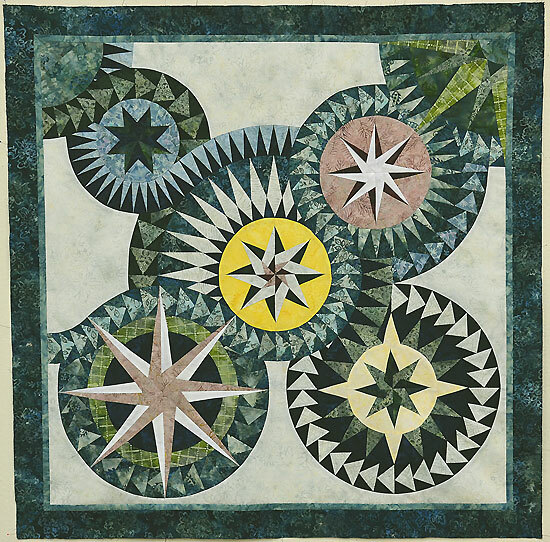 The ballots have been tallied and the 2015 Quilt Challenge results are in! 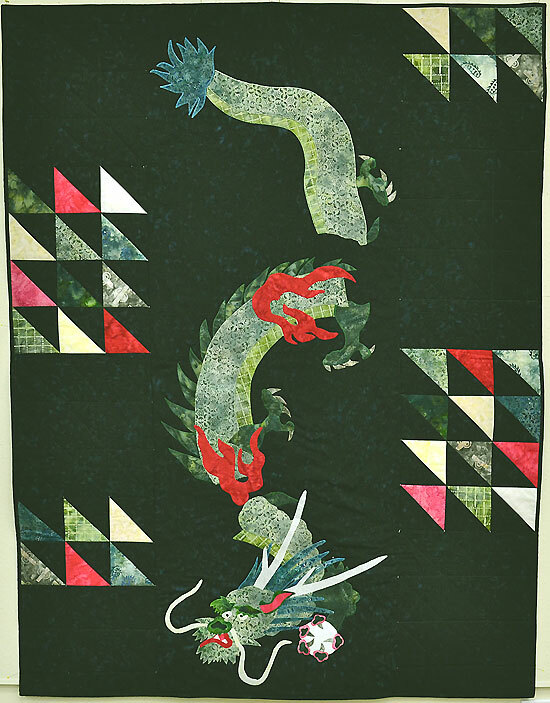 Before I show you the winning quilts, I’ll give you a recap of the contest we run each year. 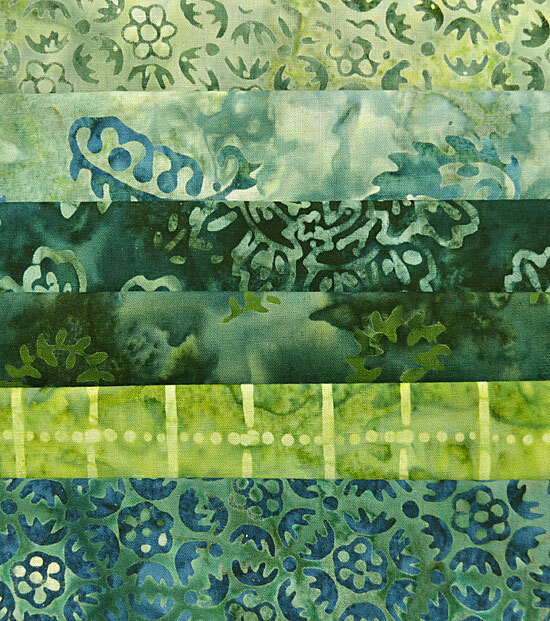 In the spring, we sell 30 kits of fabric for the Challenge. Each kit contains the exact same fabrics, with the same quantities of each fabric. 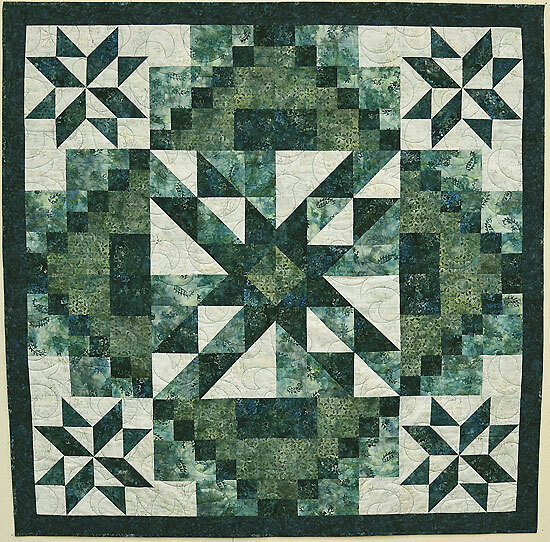 The basic rules are that the purchaser must use 4 of the fabrics in the kit to make a quilt top or quilt no larger than 240 inches in perimeter. Additional fabrics may be used, and the design can be from a pattern or original. We recommend that if a pattern is used, permission be obtained from the designer. 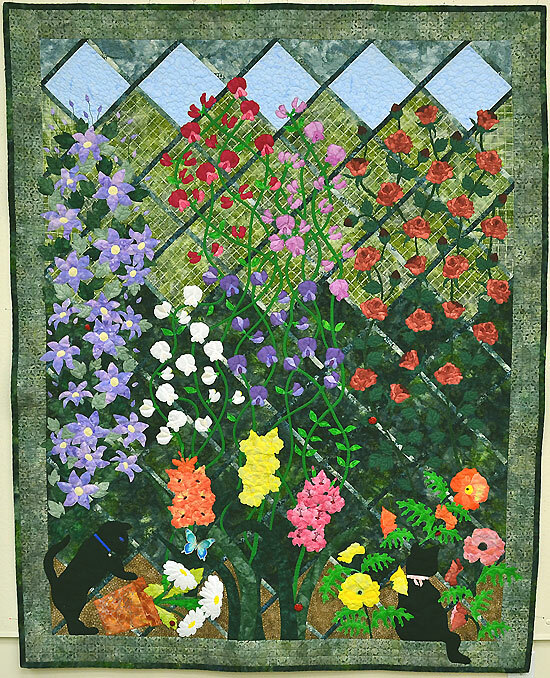 This last spring, batiks by Andover were selected for the challenge, and are shown below. 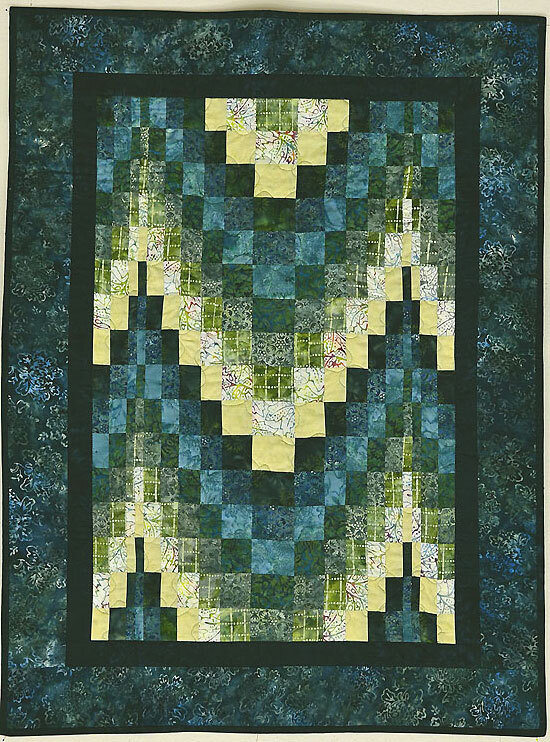 The quilts or quilt tops (they don’t have to be quilted) are brought in to the store in December and hung in January for 3 weeks of viewer’s choice voting. Eight beautiful entries were received this year. 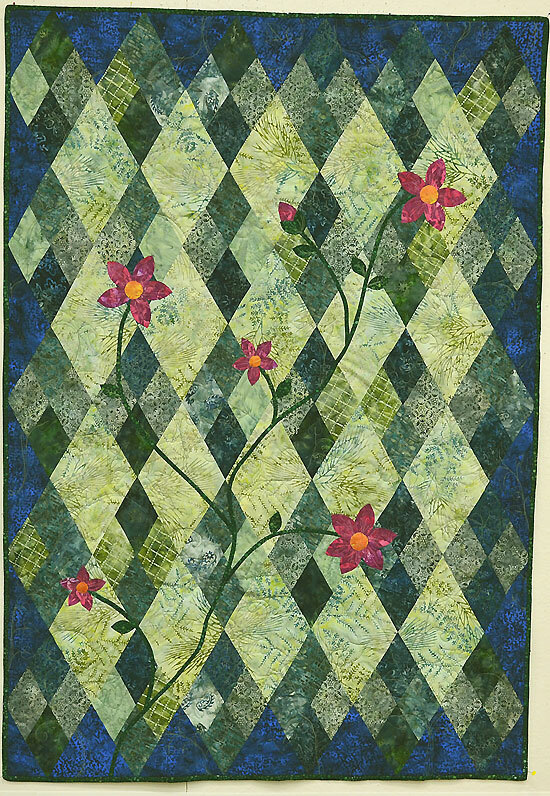 Krista McIntosh, a regular participant in our Quilt Challenge, took first place with her original design. 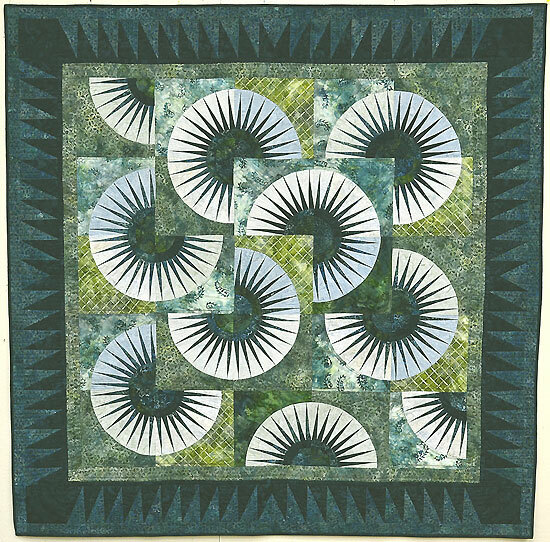 She receives from our store a $100 gift certificate, along with an insurance replacement appraisal by Dawn Hunt, our local certified quilt appraiser. The 2nd and 3rd place winners won prizes donated by Contemporary Sewing Materials. Below are pictures of the remaining 5 entries. Entries from this and past years can also be viewed on our website here, where there is also a zoom image when you click on the thumbnail. A big “Thank You” to everyone who entered! Now I know some of you are wondering how you can participate in our store’s Quilt Challenge. 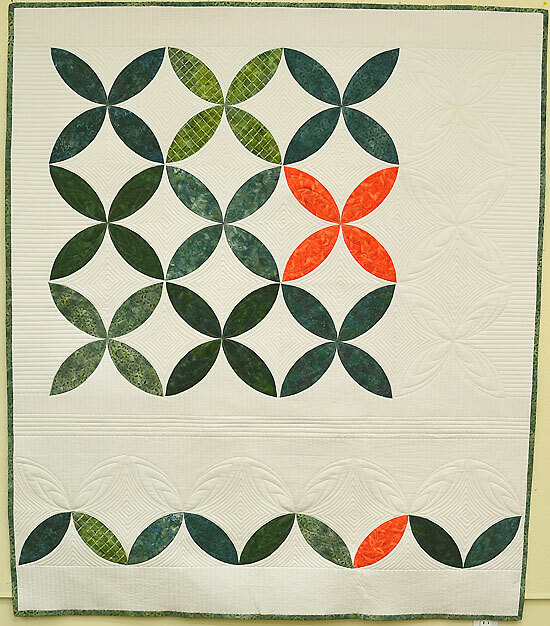 We email our local customers when the Quilt Challenge kits are available for sale. If you are a local customer, but don’t receive our emails, you can sign up for them on our website’s home page. As the entries have to be brought in and picked up at the store, and registration pages must be signed by the purchaser when the kit is purchased, we cannot extend this competition to anyone who cannot come in to the store.